Lumeni Ltd., the world’s largest energy-based medical device company for surgical, aesthetic, and ophthalmic applications, announced that it will again be supporting the International Scar Treatment Conference in Israel, which will be held for the second time in Tel Aviv, on March 21st-22nd, 2018. Last year, at the very first Scar Treatment Conference, the international event allowed key opinion leaders from the USA, Europe and Israel to gather and share important new studies and patient care protocols. Among them were Dr. Jill Waibel, Dr. Peter Shumaker, Dr. Mateo Tretti Clementoni and other leading experts, who spoke about the unique Lumenis UltraPulse® SCAARFX™ solution for severe scar treatment. Under the direction of The Tel Aviv Medical Center, Ichilov, with the Israel Society of Dermatology and Venereology, the Israeli Society for Dermatologic Surgery and the Israeli Society of Plastic and Aesthetic Surgery, the conference will bring together experts from the plastic surgery, aesthetic, and dermatology community worldwide to explore the newest, cutting-edge practices in scar treatment and aesthetics. Lectures will be held on a diverse range of topics, including scar mitigation and healing, surgery and trauma, therapies for medical management, laser and light therapy, and acne scarring and striae to name just a few. In addition to the presentations, and a live scar treatment workshop, an extensive, professional exhibition will be held to showcase the latest breakthrough innovations in medical equipment and the pharmaceutical industry worldwide, including a section featuring Lumenis breakthroughs, such as the UltraPulse® SCAARFX™, M22™ – multi application platform, and AcuPulse™. 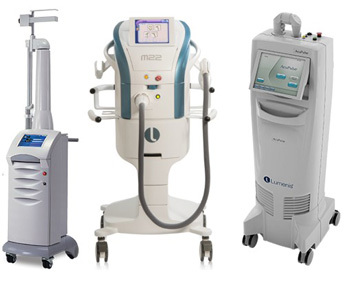 On Wednesday, March 21st and Thursday, March 22nd the Lumenis UltraPulse® SCAARFX™, M22™ – multi application platform, and AcuPulse™ complete aesthetic workstation will be the focus of over 20 lectures at the Scars II Conference. Highlights include, live scar treatments workshop by world renowned experts, “Ameliorating pain and itch”, by Dr. William Norbury, “Algorithm for laser scar treatment”, by Dr. Matteo Tretti Clementoni, and more. Please visit lumenis.com for a detailed agenda.